A luxurious mattress of up to 27 cm in height with a firmer and softer side for you to choose from. 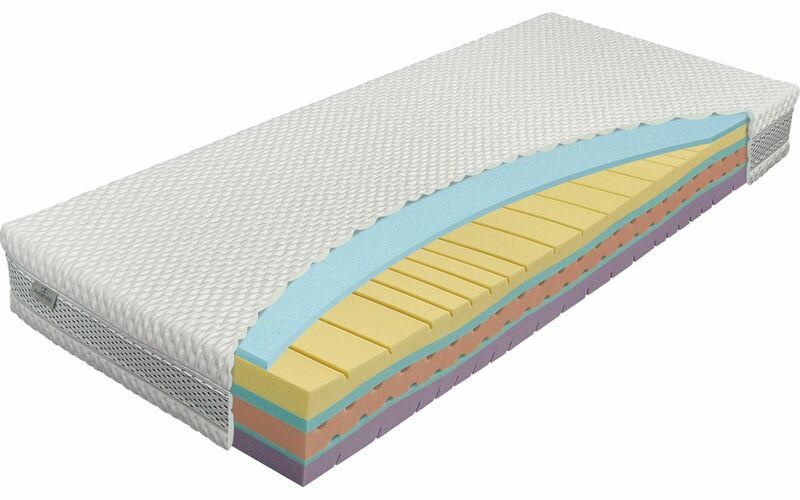 The softer side is made of the profiles layer from viscoelastic foam, also known as lazy foam or memory foam, which is accompanied by a layer of THERMOGEL foam that has the capacity for thermal regulations – balancing out the body temperature while you sleep. The removable SILKTOUCH cover is not wadded with air-conditioning layers so as not to restrict the functional properties of the materials used. This cover can be washed at a temperature of up to 60 °C. This mattress can be used on slatted bed bases and solid bases.